Want to know the secret of making deliciously crispy food without all the extra calories? 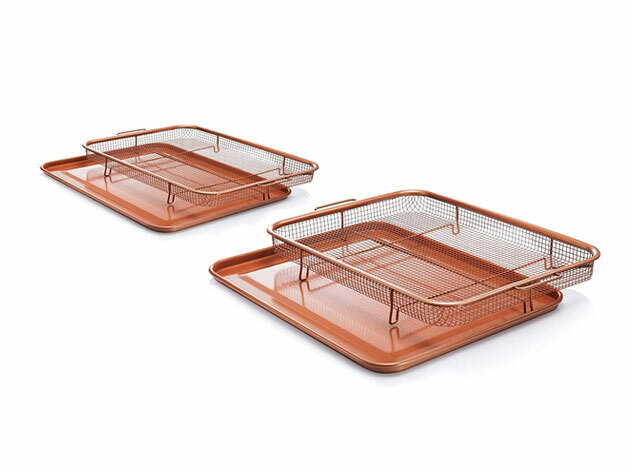 The Gotham Steel Crisper Tray provides you a revolutionary way of frying your food without adding tons of oil. If it sounds too good to be true, just test it out and see for yourself! Oil is one of the most calorically dense substances in all of cooking. 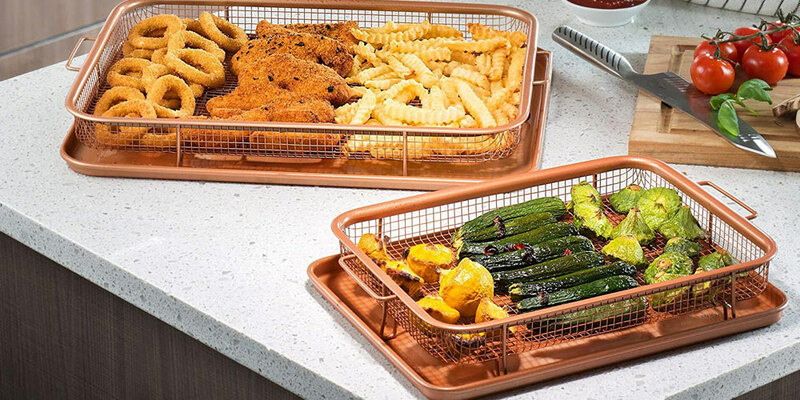 By providing a method of frying your food without a large heaping of oil, the Gotham Steel Crisper Tray is your solution to delicious cooking without the extra calories. Plus, the non-stick performance ensures that cleanup is straightforward. In fact, it’s even dishwasher-safe! The Gotham Steel Crisper Tray works in a very straightforward manner. The tray is elevated to allow heated air to pass through and circulate around the food in 360 degrees. That means you’ll be able to achieve the perfect crispiness without tons of oil. Simply stick the tray in the oven and watch the magic unfold. Included in the Gotham Steel Crisper Tray: Set of 2 is a small and large tray. Get yours today for just $34, which is 43% off the original price!